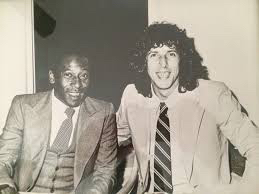 When you have a picture of someone and Pelé…you start everything off with that picture, ha! 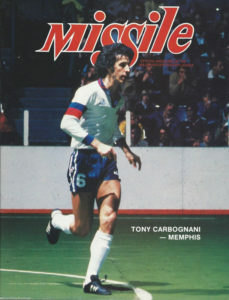 Toni Carbognani is a legend in these parts and pretty much every coach and player growing up in the Memphis area has either played for him or against him. His story however began in Buenos Aires, Argentina a city and country that are synonymous with an extreme passion for this game. As a boy he obviously grew up with a ball at his feet and playing in the streets and fields of Argentina which developed his passion and talent for the game. His professional career started off at San Telmo in Argentina before he was sold to a club with a very famous name…Barcelona Sporting Club in Ecuador. That club took him to his most famous club of all…the New York Cosmos and a long journey in the US ending in Memphis, TN! What made you fall in love with this game? Well…if you come from a country like Argentina where its played everyday its easy to love the game. There really wasn’t a choice when I was young. I had a ball since I was born basically and grew up always playing on the streets and that lead to playing on fields which lead to a professional career as a player and then a coaching career…I couldn’t be happier that I didn’t really have a choice as a kid, ha! Your journey as taken you all over the world as a player and coach, what was the journey like and how did you end up in Memphis? Any major obstacles and how you overcame them? I can say at the beginning of my professional career I thought I was going to have something definitely difficult to overcome but it really turned into a different and fun experience due to my adaption and trying to find the good in it. Just as I started playing professionally for Independiente I came to the time where I had to do 14 months of military service. Very unlucky of me I chose the wrong day to go sign up for it and instead of getting to do the service in Buenos Aires (where I lived) I ended up being sent to Neuquén…a mountainous city on the border of Chile, which was a 12 hr train ride from Buenos Aires!!! Independiente was very upset and said “why didn’t you go sign up on Monday instead of Friday? !” They knew that if I signed up Monday I would have stayed in town but…I didn’t know that, ha! So, I ended up getting stuck doing 2-3 month tours with the battalion in Neuquén and not being able to play and train for Independiente. The first 3 month tour was your [stereotypical] military boot camp but since I was a professional soccer player my fitness was fine to handle that, however it still wasn’t the most fun. I was then released for 10 days to go back home and train and play with Independiente and then it was back and forth for the times after that. The club would have me play with the reserves or as a sub in games when I was back in town every couple of months. This was good as I still got to be a part of the team and play when I could. 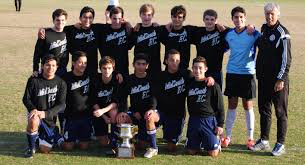 Once that was over I got back to playing and not too long after I got sold to San Telmo which at the time was a second division club in Argentina and this was great as I really got the chance to play all the time and be an important member of the team. I think this was an important lesson for me and for players now as sometimes you need to move down and develop to move up. After a short time we got promoted to the first division and one of my favorite memories was playing against Boca Juniors away and it was like 3,000 San Termo [supporters] against 30,000 Boca…we won 3-1 and all of our fans were going nuts!!! How did you end up in Ecuador from there? from the NY Cosmos! They were able to work a deal with the owner of my rights and I was in the airport with the infamous Pepe Pinton shortly after that. The funny part is he was very excited and tried make sure everything was happening quickly and on time to get me to NY but the Ecuadorian customs had a different idea. They told me as I was passing through customs that I hadn’t paid taxes and had to pay them before leaving the country…I argued that it was the club’s job to pay them and we came to an impasse. All this time Pinton was going nuts as we ended up missing the flight to NY and he almost got thrown in jail for arguing with customs…this was hilarious looking back on it! We ended up sorting it out with he club and customs and I got on another plane and that took me to another new country and the highest point in my career. So I can’t say I really had to many crazy obstacles but it was a bit of a journey getting from the streets of Buenos Aires to NYC with Pele, Chinaglia, Carlos Alberto, Beckenbauer, etc! What is your favorite moment the move to the US has given you? 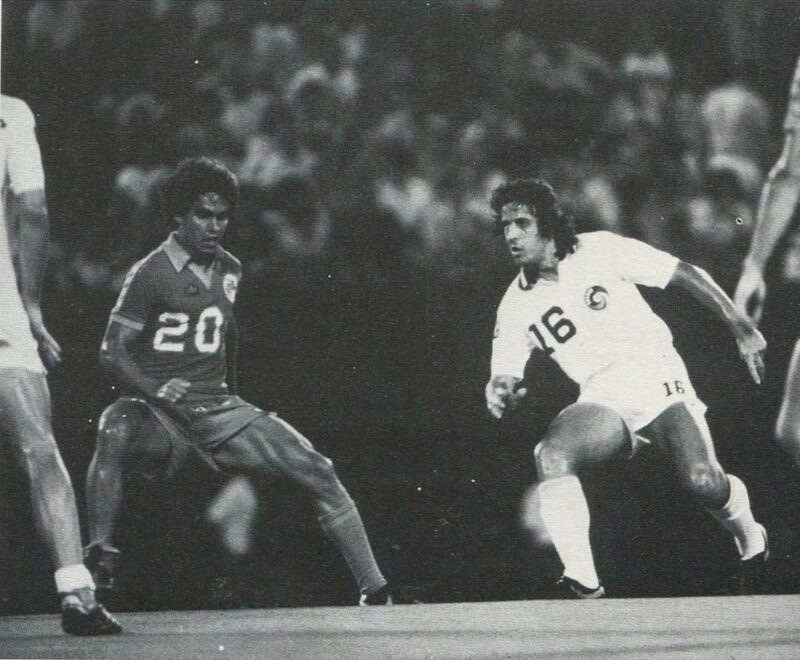 In 1979 when i was playing for the New York Cosmos we played against Argentina, the 1978 world cup champions, in New York in a friendly game. That was the best moment in my playing career. As a coach it would have to be coaching professional indoor soccer, being a part of the regional coaching staff, and coaching my two sons. As a fan, traveling to St Louis with my two sons to go watch Argentina beat Bosnia in a friendly game 2-0 was a great time! Any advice for Players or coaches wanting to reach the top of their craft? Hmmm…well I’d say ethics and being a good and honest person is the most important advise I can give as a person, player, and coach. This world is a very small place and the cities and circles that most players/coaches run in for their careers are even smaller. You do good and good will come back to you…if you don’t you will see the same people again and again. I can’t tell you how many I have people from my past I have run into years/decades later in cities and countries and my reputation for being ethical when leaving clubs etc has created other opportunities for me because I did things the right way and didn’t burn bridges. This to me is the key to life not just soccer. As for simple information for players on how to get better, training training training, always work with the ball. That was the key for me growing up was always playing, always trying to become better at soccer. For a coach, work with kids to develop skills and don’t copy anyone else, be yourself. Don’t be afraid to put in the work with players and teams who aren’t the best team. Your job is to teach and develop not to just win with the best players handed to you. We are here to try and better soccer in this country and help us compete with he best in the world. from your point of view how can we get there, what needs to change? Well first the United States Soccer Federation should hire more quality coaches with an experienced level to develop the younger players for the national teams, and when the time comes to choose players, it should be for the quality of the player and shouldn’t matter what club or organization they come from. What do you want your legacy to be when you are done coaching in this game? Its not up to me how I want to be remembered, it’ll be up to the players I have coached and friends I have made through this sport how they want to remember me. That brings me back to the ethics point, do things the right and honest way!